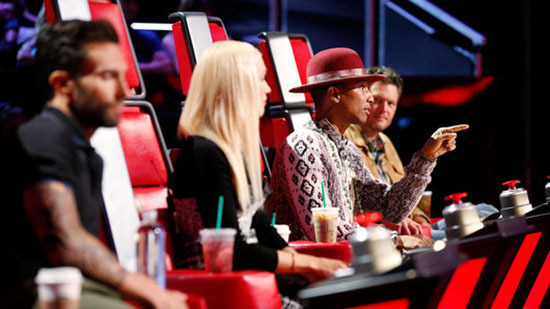 The Voice Season 7 returns with Top 12 Live Shows tonight, Monday, November 17, 2014. Live Shows begins tonight! The Top 12 of The Voice will showdown and perform a solo number for your votes to secure a spot on the Top 10. Yes, read it right, only ten contestants will remain at the end of the results show on Tuesday. In the Live Shows, the top 12 artists will compete each week against each other during a live broadcast. 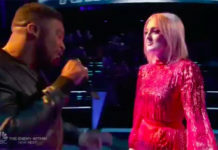 The television audience will vote to save their favorite artists. Three artists with the lowest number of votes will be eligible for the “Instant Save.” These artists will each perform a new song that represents why they should earn the save. Then, America will have the opportunity to save their favorite performer by tweeting out #VoiceSave along with the artist’s name. 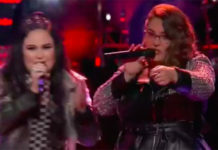 The two singers with the lowest number of votes will be sent home each week. In the end, one will be named “The Voice” and will receive the grand prize of a recording contract. 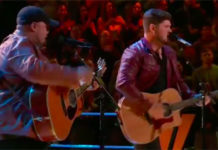 The Top 12 performing tonight are Reagan James, Craig Wayne Boyd, Jessie Pitts, Luke Wade, DaNica Shirey, Sugar Joans, Taylor John Williams, Anita Antoinette, Ryan Sill, Damien, Matt McAndrews and Chris Jamison. Who do you think will shine tonight? Write your thoughts on the comment section. We will be doing live recap on this page, bookmark and save this link now! Recap, results and videos will be posted below once uploaded online! That’s all for tonight, Join us on the results show tomorrow!